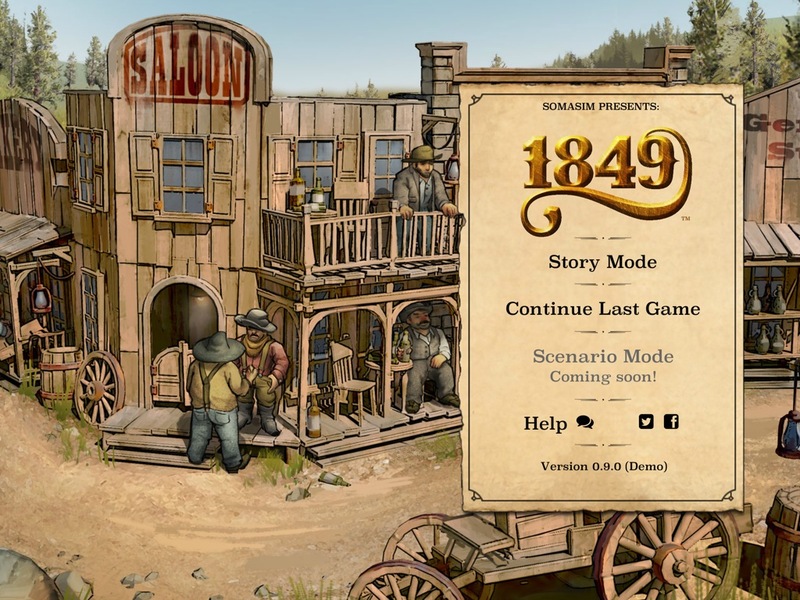 1849 is a game that puts the player smack-dab in the middle of the gold rush on the West Coast. It’s not all about gold though: maybe your fortune can be made through trade of blue jeans and pickaxes! Upon entering the menu, there are two options: Story Mode, and Scenario Mode. Sadly, Scenario Mode is not available at the moment, although hopefully it will be soon! In addition, the player can click the “Help” button to be brought to a forum on SomaSim’s (the developers) website for feedback. The player is eased into game mechanics and objectives through several small, simple scenarios when the Story Mode is clicked. Cities in California play host to tiny towns where you’ve recently become the mayor! Congratulations! 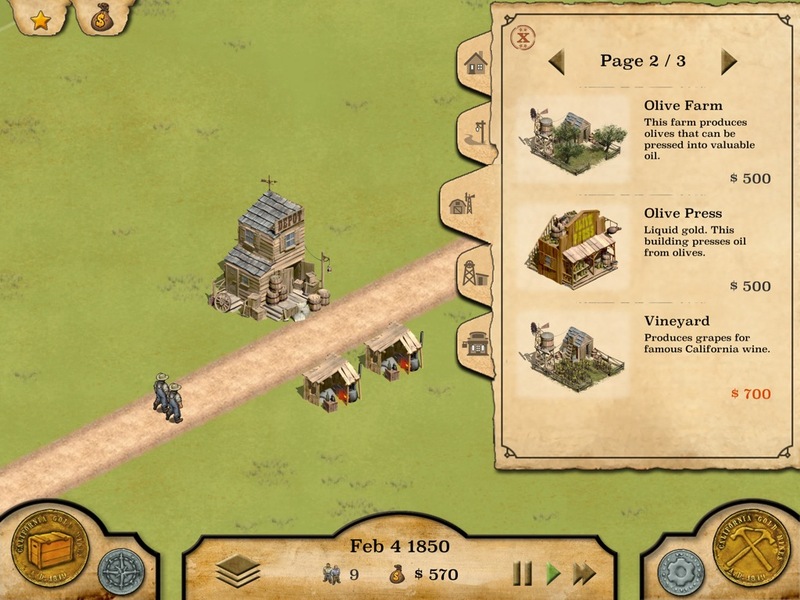 The player is also given a couple objectives to fulfill, but initially the game will help the player achieve those objectives. Place houses, workplaces, and public services – like a fire brigade and sheriff – to achieve these objectives. Telegraphs also arrive periodically to offer side goals and commissions. After you master each town, you move to another town and another set of goals. I reviewed this game for the iPad, so I might have had a slightly different experience than someone playing on OSX or Windows. The animations and graphics are very cute, and hearken back to later versions of Oregon Trail! The biggest critique I have at this stage is in terms of appearance. There are a few decorative items to place, which is totally awesome, but buildings and objects can’t be rotated or moved. If a building is placed, it’s locked into that place. You can remove the buildings, but you won’t get your money back, so replacing and moving buildings isn’t very easy. Having oddly placed buildings doesn’t affect the output of the building so long as it’s connected to a road, which means the rotation and movement of the buildings and objects is merely an aesthetic criticism. The menus with options and information are amusing and can be “layered” in the sense that menus are not auto-closed once another is brought up. 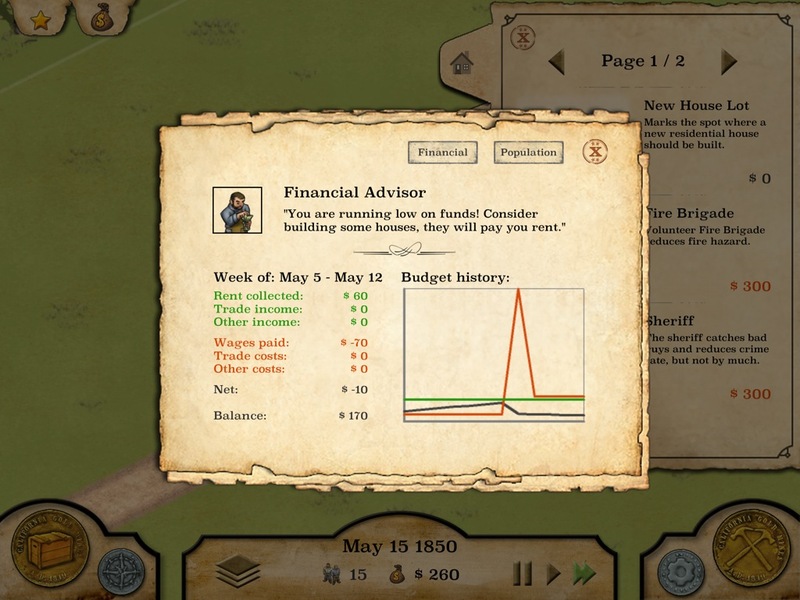 With this feature, it makes gameplay a little more intuitive and easier to flip between menus and conduct business. Since this was a reviewed on an iPad, the tapping (and likely point-and-click equivalent) was easily done and not finicky. The objectives and challenges presented in the game are tricky, and the last stage required many retries on my part. However, the level remained enjoyable through multiple playthroughs of the limited beta stage and was well worth the effort. 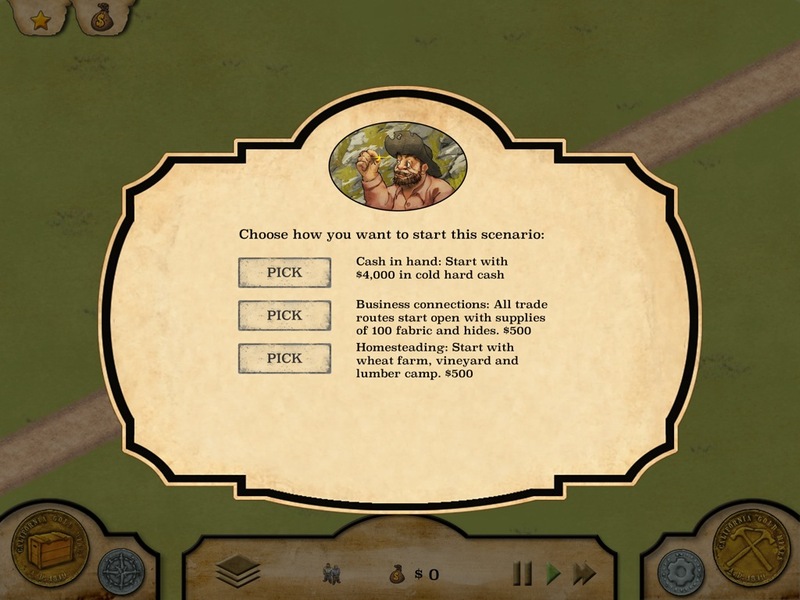 The in-game economy of trading and selling (and the cost required to open the routes) is plausible and entertaining. To add to the mix, sheriffs are required to prevent crime, which is caused by having too many residents and too little work. Fire brigades are also present to deal with random fire events. However, they don’t seem to help when a house catches on fire, since the house would burn for several in-game days. Animations do not accompany fire brigades as they do workplaces or farms — I’m not sure if this indicates that the feature is currently inactive or bugged. Also, earthquakes happen and affect mines if they’re placed in the town; might I suggest that the pop-up accompanying the event be more refined than “OH CRAP, AN EARTHQUAKE!” even if I did giggle? The mechanism of upgrading houses for additional population and rent is a bit odd, however. The thought behind house upgrading is sound; requiring new and more resources to grow is exactly what happens in real life. However, they manner by which you acquire the resources is not well-explained in the least. Tapping on the houses yields the information on the resources needed to grow or a warning that the building will devolve. The “devolution” mechanism is very sensitive to the resources stockpiled in the town’s depot. The devolution of buildings inevitably throws off the town and its economy. Therefore, it might be better to make the devolution of buildings less sensitive. People do not instantaneously move or tear apart houses with a lack of resources, even if desperation is a terrible thing. Understandably, the game has a few issues, as it’s in a limited beta stage. However, despite the flaws, it will keep you engrossed, and with the variety of scenarios, the replay value is high. The graphics are stellar, and my quibbles with the game should be resolved by launch. 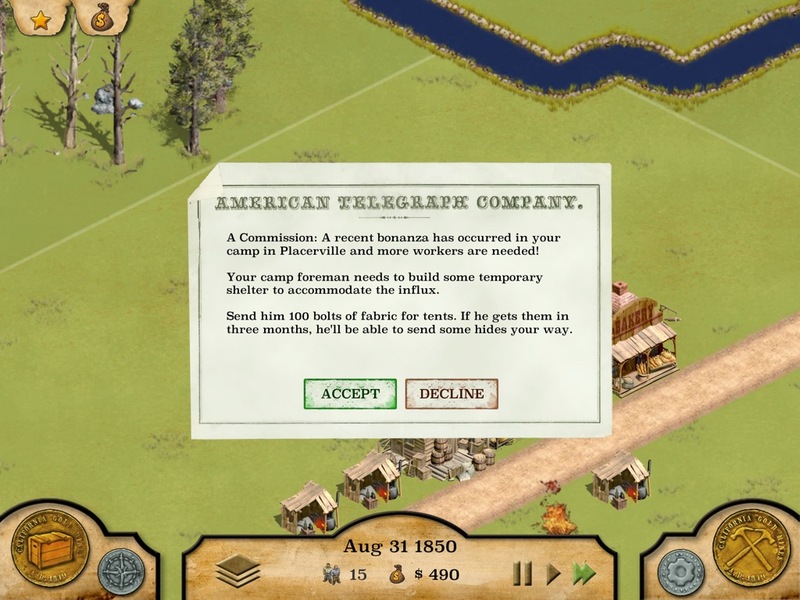 1849 is currently on Steam Greenlight, and can be purchased at its current stage on Indie Game Stand for $9.99. Still unsure? Watch some gameplay footage from the early access beta! You can find the team on Facebook and Twitter in addition to their official site.